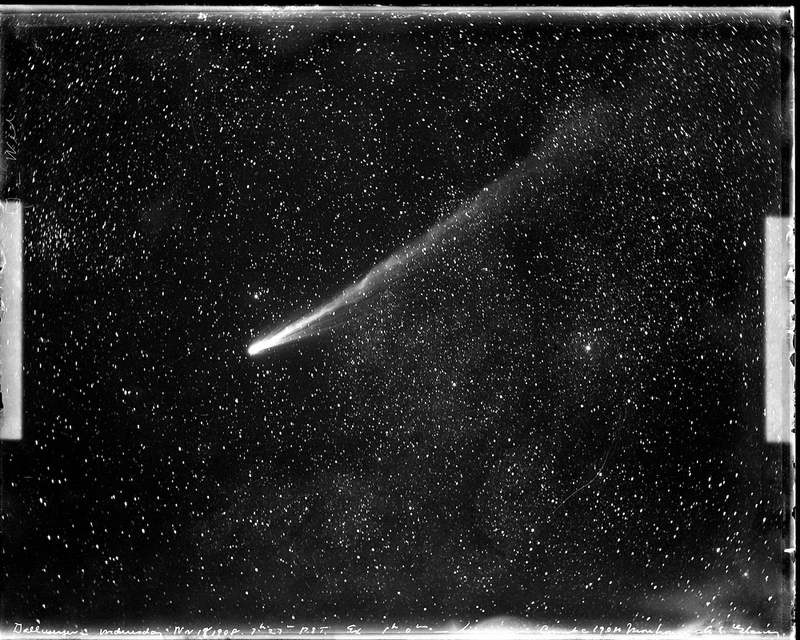 This animated clip 1908 c was made from a series of glass plate negatives of Comet Morehouse taken at Lick Observatory by astronomer Estelle Glancy over a period of several months in 1908. It was shown for the first time as part of KNOWLEDGES at Mount Wilson Observatory, projected in the Astronomical Observatory. Tony Misch holds a BFA from the University of Washington (1975) and an MFA from Otis Art Institute of Los Angeles County (1979). From 1982 until 2007 he lived and worked at mountaintop observatories, first on Mt. WIlson and later at University of California's Lick Observatory. In recent years his interest in the history of astronomy has led him to the preservation and evocation of its artifacts. He runs the Lick Observatory Historical Collections Project.